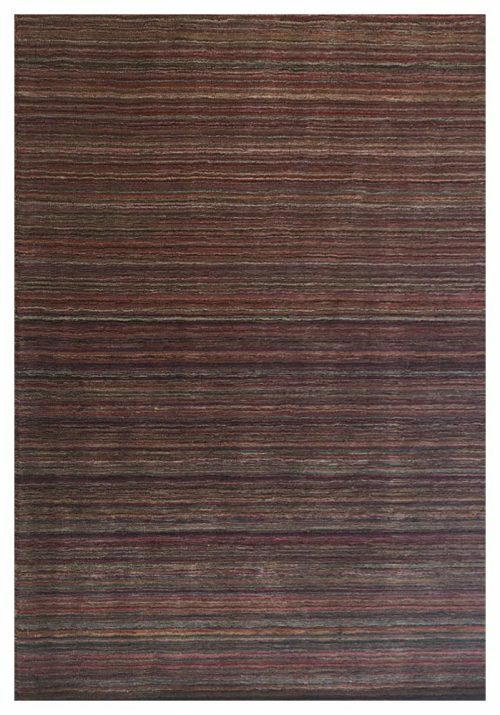 100% cotton tufted area rug, feels silky and soft to the touch. 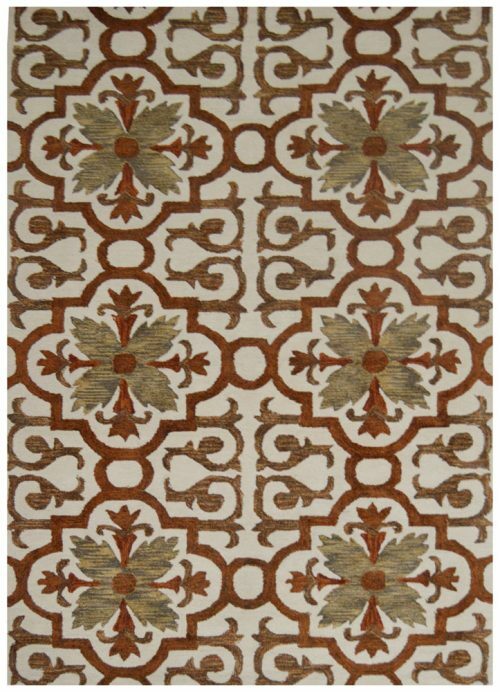 This rug is great for any room in your home from a family room to a kids room. The colors are so vibrant when I unrolled and opened the rug I was stunned. It is so bright, full of life, and so refreshing! 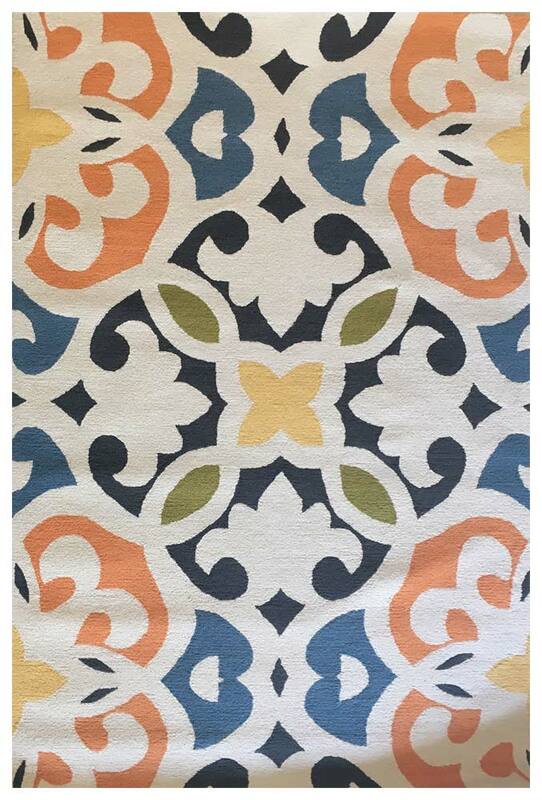 This 100% cotton area rug is in our ware house and ready whenever you are! 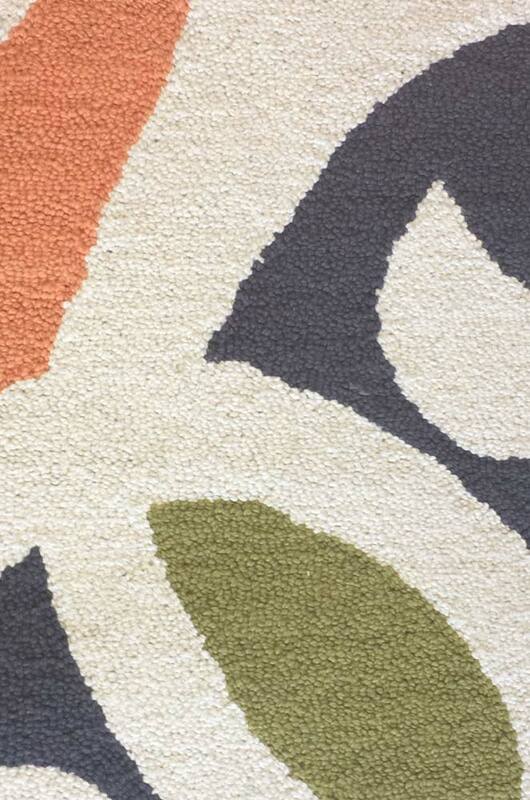 If you are unfamiliar with how a cotton area rug feels I’ll paint a picture for you. The cotton is looped (tufted) and feels silky and soft to the touch. 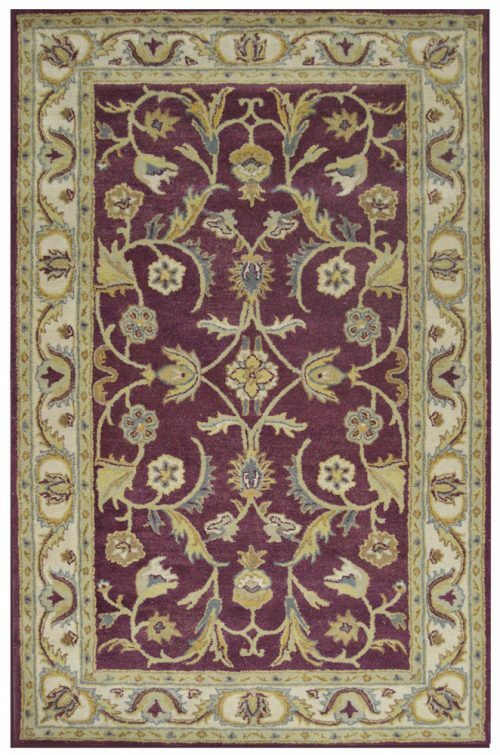 This rug is great for any room in your home from a family room to a kids room. The colors are so vibrant when I unrolled the rug to take the pictures I was stunned. It is so bright, full of life, and so refreshing! 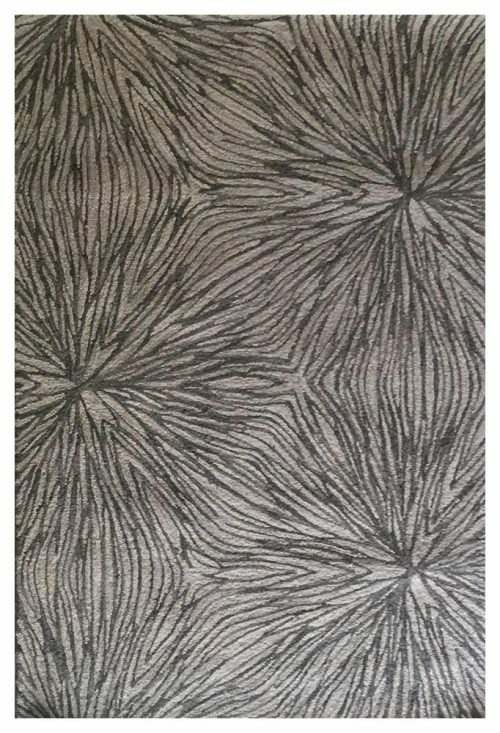 The background color of the rug is and off white. The other colors are orange, blue, gray, yellow, and green. The back of the rug is soft so it won’t do any damage to your floors, the only thing to keep in mind with a soft back rug is that it might slide a little if it is being put on a hard surface. If that is the case, you can simply purchase the non-slip pads available on our website and you’ll be good to go. This cotton area rug does not shed! 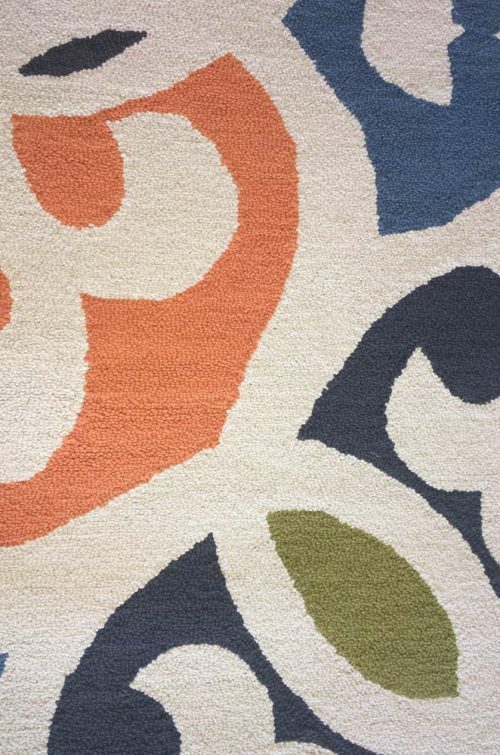 If you’d like any additional photos of the rug please feel free to contact us on the bottom right hand of your screen (we can even make a youtube video of the rug for you if you’d like! ).